Thomas Bjørn and Arjun Atwal have been announced as respective captains of Team Europe and Team Asia when the EurAsia Cup presented by DRB-HICOM returns to Glenmarie Golf and Country Club in Kuala Lumpur, Malaysia, from January 12-14, 2018. The third staging of the biennial tournament, which has been hosted at the Glenmarie Golf and Country Club in 2014 and 2016, will see the 12-man teams contest six fourball matches on Friday and six foursomes matches on Saturday, before 12 singles matches determine the winning team on Sunday. Europe went on to record a comprehensive 18½-5½ win in the last edition of the tournament in 2016, lifting the trophy outright for the first time after the inaugural event, featuring ten-man teams, ended in a 10-10 tie in 2014. For Bjørn, it will be his first captaincy assignment since taking the helm of Continental Europe in the 2009 Seve Trophy and will provide perfect preparation for the Dane ahead of The 2018 Ryder Cup in France in September. For Atwal, it will be his first time in the captaincy role. Bjørn said: "I am delighted and honoured to be the captain of the European EurAsia Cup team and I am very much looking forward to the challenge that will await us in January from what I am sure will be a strong Asian team on home soil. "I was lucky enough to be a member of the European Team for the first EurAsia Cup in 2014 and I have seen the event grow and develop since then. We have some of the best golfers in the world in Europe and I am relishing the opportunity to work closely with them as individuals and as a team to try and ensure we keep the trophy in European hands." The same feeling of excitement is echoed by Atwal, an eight-time Asian Tour champion, three-time European Tour winner and a winner on the PGA Tour, as he looks to showcase the strength of Asian golf as his team chases a maiden win at the EurAsia Cup. The 44 year old, who won the Asian Tour Order of Merit in 2003, said: "I am proud to captain Team Asia in this very special event. I expect to lead a strong and confident team against Europe so I'll do my best to inspire Team Asia. "With a long personal association with Malaysia, I would like to thank the Government of Malaysia, DRB-HICOM and Tun Ahmad Sarji for their continued support of the EurAsia Cup. I am really looking forward to the event in January and hope that the Malaysian public will come out in full force to support Team Asia!" DRB-HICOM, one of Malaysia's largest conglomerates involved in the automotive, services and property sectors, will again be a presenting partner of the tournament in 2018, as the company looks to continue making a significant mark in the world of golf through its involvement with the EurAsia Cup. Dato' Sri Syed Faisal Albar, Group Managing Director of DRB-HICOM, said: "The DRB-HICOM Group is proud to be associated with the EurAsia Cup as the presenting sponsor for the third edition. The event was a huge success in 2014 and 2016 and I'm confident we will witness another great battle between Team Asia and Team Europe in 2018. "The global appeal of the EurAsia Cup has given DRB-HICOM the opportunity to promote our properties and services through the extensive television, digital and written coverage. We are proud to showcase sports tourism in Malaysia through the EurAsia Cup and also place the country at the forefront of sporting excellence." The EurAsia Cup will also see MMC Corporation Berhad, Malaysia's leading utilities and infrastructure Group as one of the sponsors for its 2018 tournament. Keith Pelley, Chief Executive of the European Tour, said: "We are delighted to be able to announce the third staging of the EurAsia Cup today, an event which is growing in stature and one which players from both sides very much look forward to. Having worked closely with Thomas Bjørn since I took office, I have seen his passion and commitment to Europe and our Tour at first hand and I know he will be an excellent captain as we defend the trophy. "The EurAsia Cup is a perfect example of the close working relationship we have with the Asian Tour through our Strategic Alliance and we are delighted to see it go from strength to strength. We extend our thanks to the Government of Malaysia, to our presenting partner DRB-HICOM and to Professional Golf of Malaysia for their vision and commitment, and to everyone at Glenmarie Golf and Country Club, not just for their hard work but also the warmth of their traditional Malaysian welcome, which everyone who travels from Europe very much appreciates." Josh Burack, Chief Executive of the Asian Tour, said: "The last two editions of the EurAsia Cup have been very successful on all fronts. I am sure golf fans around the world are excited to watch Team Asia battle against Team Europe in January. I am confident our captain Arjun Atwal will lead Team Asia with honour as the team strives for their first victory in this mega event. "The three-day match-play format is very exciting for the viewers and the players themselves. We would like to sincerely thank the Malaysian Government for their tremendous support and vision to stage the EurAsia Cup in their beautiful country for a third time. "Our gratitude also goes out to our local organising partner Professional Golf Malaysia and DRB-HICOM who will continue to be the presenting sponsor for the third edition. Without the support of these three parties, this spectacular tournament would not be possible." Tun Ahmad Sarji bin Abdul Hamid, Chairman of the Local Organising Committee, PGM, added: "On behalf of Professional Golf Malaysia, it gives me great pleasure to be a part of the formal announcement of the 2018 edition of the EurAsia Cup, which will be hosted at Glenmarie Golf & Country Club. "The first two editions of the tournament have provided significant global media exposure for Malaysia and been a cornerstone of the development of the local professional game resulting in two male Malaysian golfers qualifying on merit for the 2016 Olympic Games. "My thanks go to the Prime Minister of Malaysia, DRB-HICOM and MMC Corporation Berhad for their committed support of the EurAsia Cup. I would also like to recognise the special relationship Professional Golf Malaysia has nurtured with both the European Tour and the Asian Tour. "Alongside the other key stakeholders, I will look forward to welcoming everyone to Malaysia in January 2018 and where I am confident the Malaysian public will look forward to another world class spectacle of match play golf." (a) The leading ten available European Members from the final 2017 Race to Dubai Rankings. 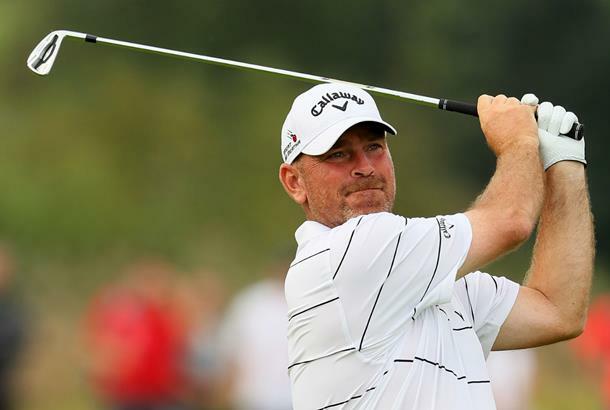 (b) The Captain, Thomas Bjørn, will choose the remaining two European Members in the week commencing Monday 20 November 2017. (a) Top four available players from the Asian Tour Order of Merit as at 27 November. (b) Top four available players from the Official World Golf Rankings as at 27 November. (c) The Captain, Arjun Atwal, will choose the remaining four Asian Members in the week commencing Monday 27 November.